The process to remove pathogens from the purified water system and water for injection system by sanitization. 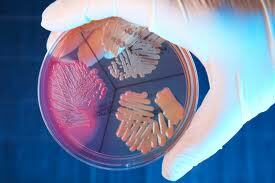 Pathogens are the microorganisms which are capable the cause disease. All of these microorganisms are harmful to human. Those can survive into the purified water as well as the water for injection. The pathogenic bacteria found in water system are E.coli, Salmonella and Pseudomanas. Generally, these are attached in the filtration membranes of water system such as Reverse Osmosis membranes and Ultra-filtration membranes or sometimes a biofilm can be formed in pipelines of the water system. Sometimes when we analyze the purified water or water for injection (WFI) for the microbial limit test pathogens are found in the sample. In that case, we should re-analyze the sample first to sure the occurrence the presence of pathogenic bacteria in the water system. When such a condition occurs the whole water system should be cleaned. First of all whole system should be sanitized with hot water (80⁰C) for a period of 4-5 hours. All the user and sampling points should also be flushed by the continuous draining of hot water for 15-20 min to remove pathogens properly. Drain the water and flush the system at least two times with ¼ of the water storage tank. Fill the tank with fresh water. RO system and ultra-filtration membranes should not be sanitized with hot water. This process is applicable only on water re-circulating loop connected with water storage tank. After the sanitization, the sample should be taken from every user point and should be analyzed for all pathogens as per the standard operating procedure for purified water/WFI testing. If pathogens are found again in the water samples then the system should be sanitized first with the nitric acid solution (5%) followed by formaldehyde, chlorine or hydrogen peroxide (5%) to remove pathogens. For the better results, these can be used with hot water. Ultraviolet light in return loop plays a vital role to keep pathogenic bacteria away from the water system. The system should be cleaned properly and should be analyzed for traces of the used chemically before using water in the manufacturing process. Water system should be validated remove pathogens properly for a period of a minimum of seven days before using again in pharmaceutical production.